A 50-foot-tall steel tank filled with 2.3 million gallons of molasses had just collapsed on Boston’s waterfront, disgorging its contents as a 15-foot-high wave of molasses that at its outset traveled at 35 miles an hour. It demolished wooden homes, even the brick fire station. The number of dead wasn’t known for days. It would be years before a landmark court battle determined who was responsible for the disaster. 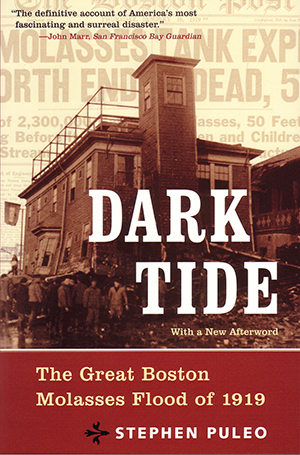 Stephen Puleo gives a guided tour of the Great Molasses Flood of 1919.